When I said some of the scenes of the movie reminded me of what was happening in Baltimore, Ferguson and other cities where blacks were near or beyond the boiling point of frustration with police brutality and systematic problems, the three boys went silent, thinking (I hope) and connecting the news headlines to the story. The movie is a fictionalized biopic of the emergence of rap music in LA, told through the story of NWA members. I thought it was a strong movie, too, with a typical but powerful narrative arc of a “band movie,” although the story and images and music also brought back memories for me. When NWA first broke on the scene in the late 1980s (along with Public Enemy and others from New York City), I was an infantry soldier in the Army National Guard. My home armory was inner city New Haven, Connecticut, and for much of the six years there, I was the only white soldier in a platoon of black soldiers. For much of the time, I was an outsider — a white suburban, lower-middle-class college boy working alongside young men and Vietnam veterans from the inner city, where life — I learned by listening and talking — was a very different experience for them than it was for me. 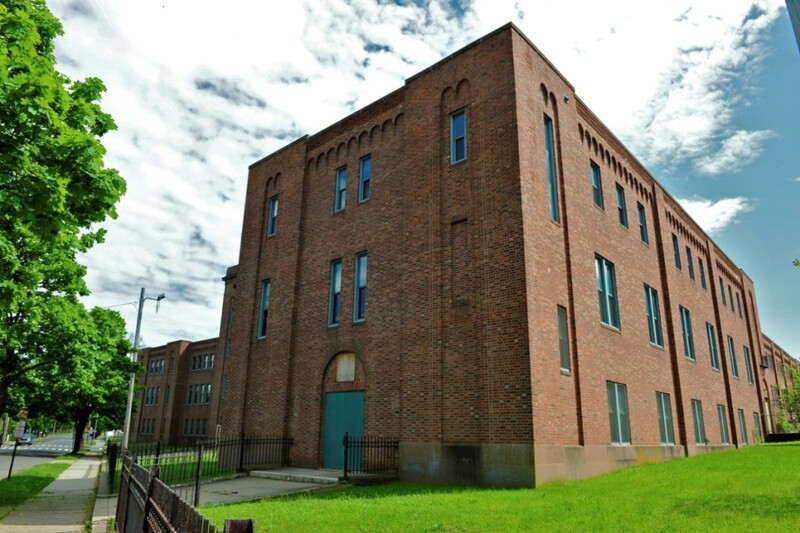 In a strange twist, the Armory (now closed) was situated right next to a New Haven prison, so as we did work outside the Armory, soldiers in my platoon would sometimes be calling up to people behind barred windows. College was not on anyone’s radar screen, and living was a day-to-day experience for many. Here, I heard stories of police beatings, or gang strife in neighborhoods, of who got robbed, of who got away, of whom was fooling with whom, and of the lack of jobs and opportunity. AIDS and HIV were soon topics of conversation, too, as were stories of powerful drugs ravaging the streets. For many, the National Guard income, as a little as it was, was the only reason they were in the military. There was no love of country, or trust of government. Quite the opposite. It was a job, of sorts, that could pay some bills (one weekend a month, two weeks in the summer). Rap music and what we now call Hip Hop was everywhere, all the time, in our platoon. Boom boxes were standard military equipment in our unit, much to the chagrin of the officers (whom, I should note, were all white men who mostly kept themselves separate from our unit). I was raised on rock. Led Zeppelin. Aerosmith. The Rolling Stones. Bad Company. Kiss. What they were playing was nothing I ever heard on the radio in the late 198os (how times have changed) and they amused themselves by trying to get me to appreciate “the music of the street”, as they called it. Just as in the movie, when Ice Cube articulates how NWA’s rap music captured the reality of living in the Daryl Gates’ years of Los Angeles (sparking the LA riots that were to come later, following the Rodney King verdict), so too did my fellow soldiers explain how the beats and lyrics of rap spoke to their own experiences with street truth in New Haven. I’ve never forgotten those years in New Haven. By the end of my time, I was part of the unit, but I know I was still and always separate. My skin color and my upbringing, and the fact that I could drive home to suburbia, was a wall between us that never came down. In many ways, we spoke different languages and lived in different countries. But I’d like to think and remember that they did let me in to their lives over time, and I let them into mine. I know I learned more from them than they learned from me. I will always deeply appreciate an unofficial mentor that I had, Sergeant Calvin Nelson, who took me under his wing during my first scary days and taught me lessons about life. He was the first person I knew who was a member of the Nation of Islam and the first Vietnam vet I knew up close and personal. He was a calm, patient man worried about supporting his family with his manufacturing job and my relationship with him went a long way with the others. Being a cultural outsider, as I was for those years, teaches you hard lessons about acceptance (or not), and about listening and compassion, and if you let it, about the world much larger than your own. You realize rather quickly the bubble we all live within as we grow up. Slowly, I made my way in to a community that would have otherwise been forever outside my field of vision. I am wiser for the experience. We walked to the car last night and I wondered to myself if these three boys came away with a new wrinkle of reality after viewing the movie. Maybe not. It may have been nothing more than a big screen movie, set years in the past. For many people, in many places, the hardships shown in the movie are still a daily reality, and I hope the prospects of art and music transforming the reality is also still a possibility. That, and education.